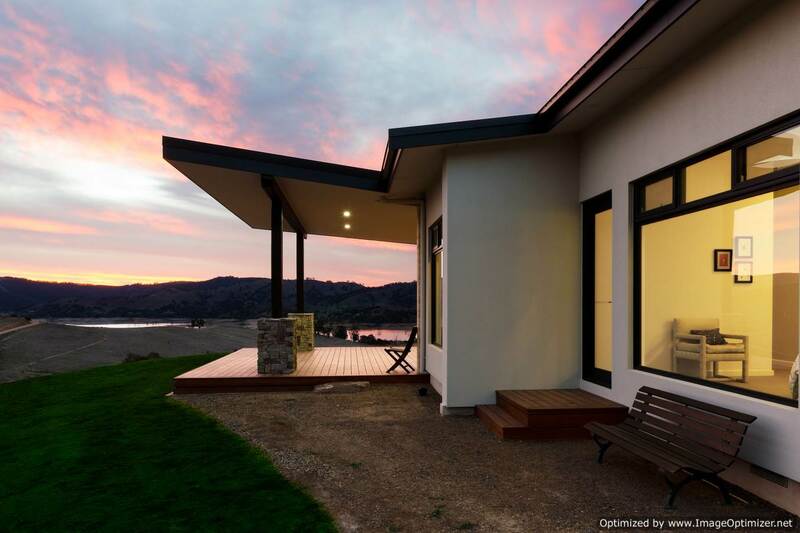 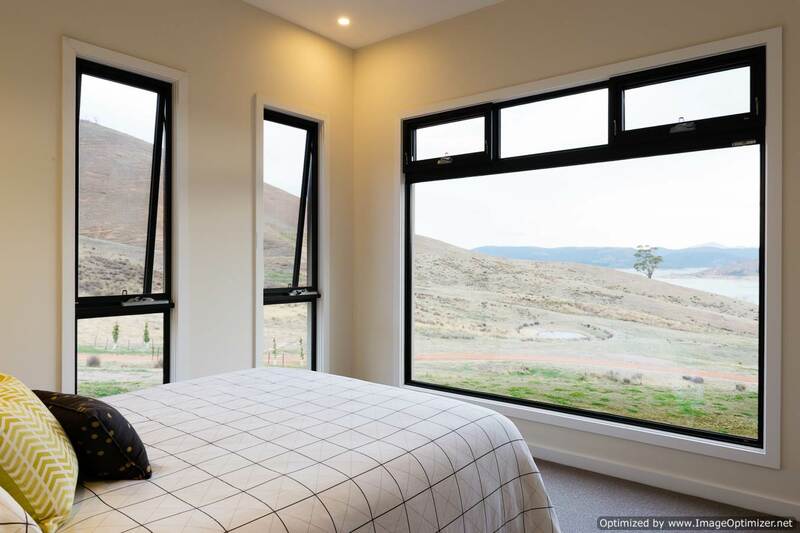 This beautiful home was built overlooking the stunning vista of the Bonnie Doon arm of Lake Eildon, high on a hill with panoramic views carefully framed in every window. 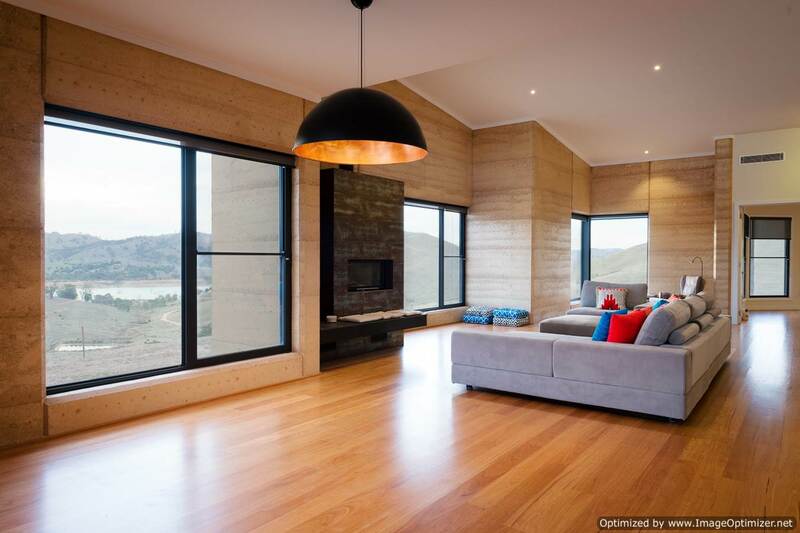 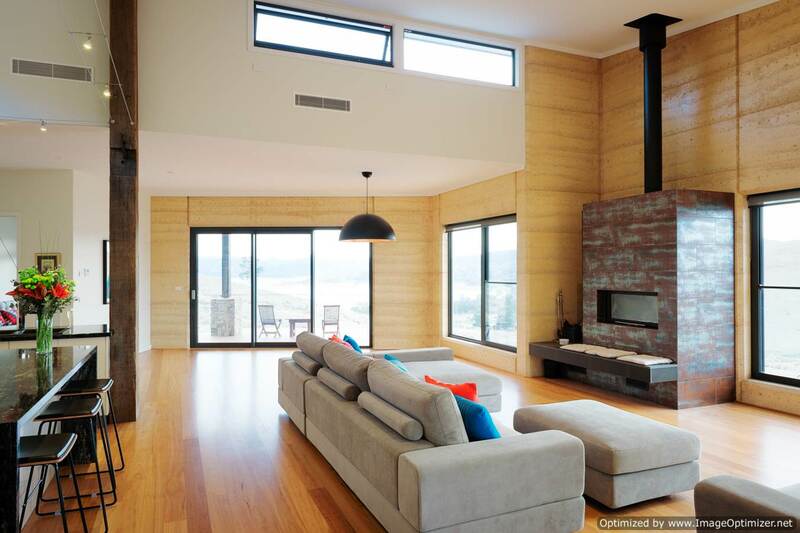 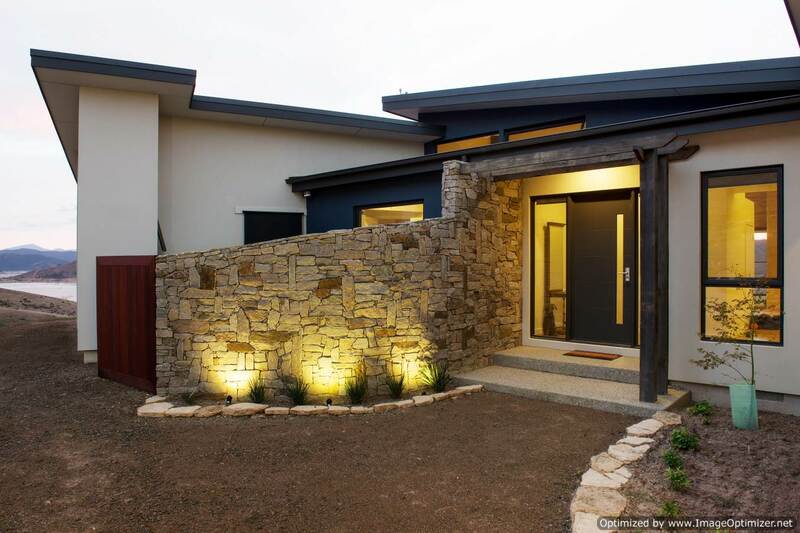 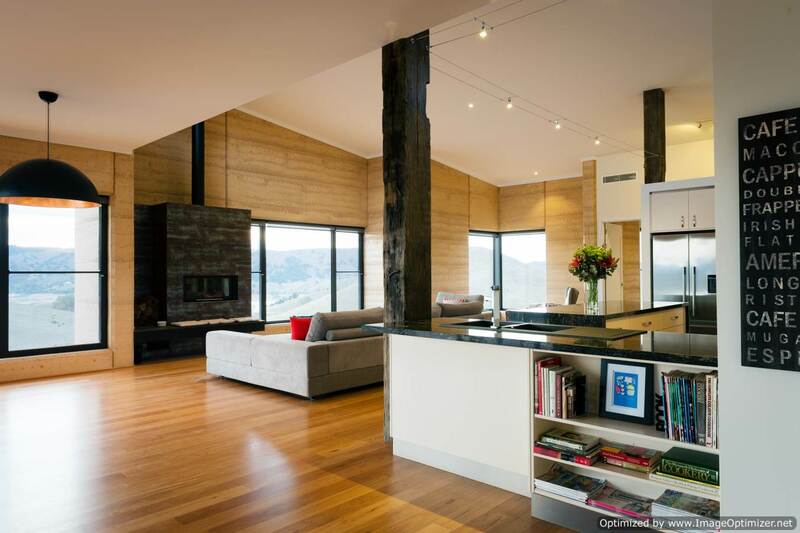 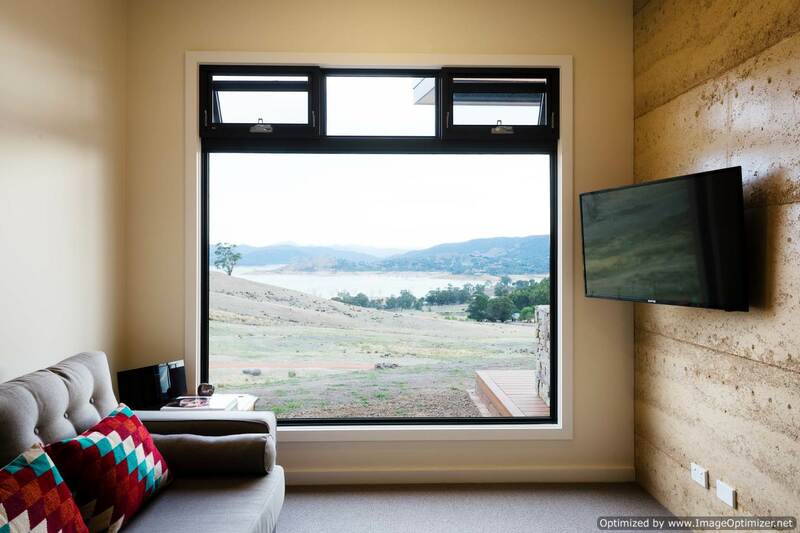 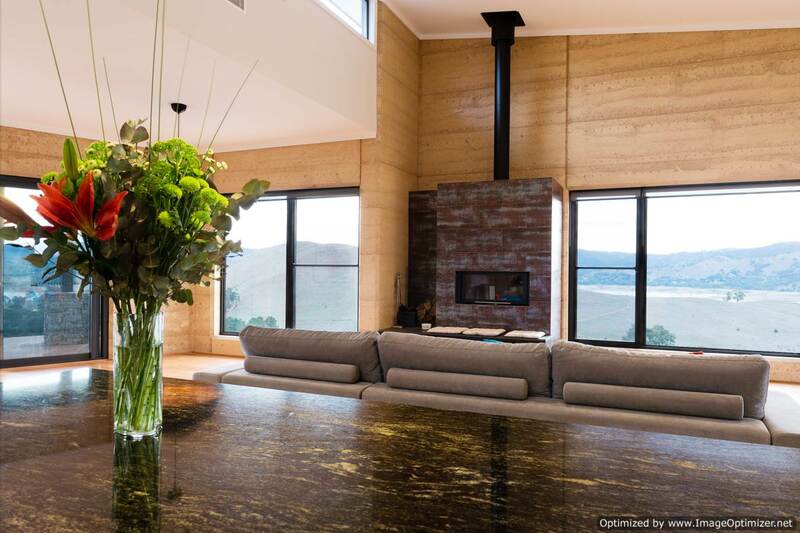 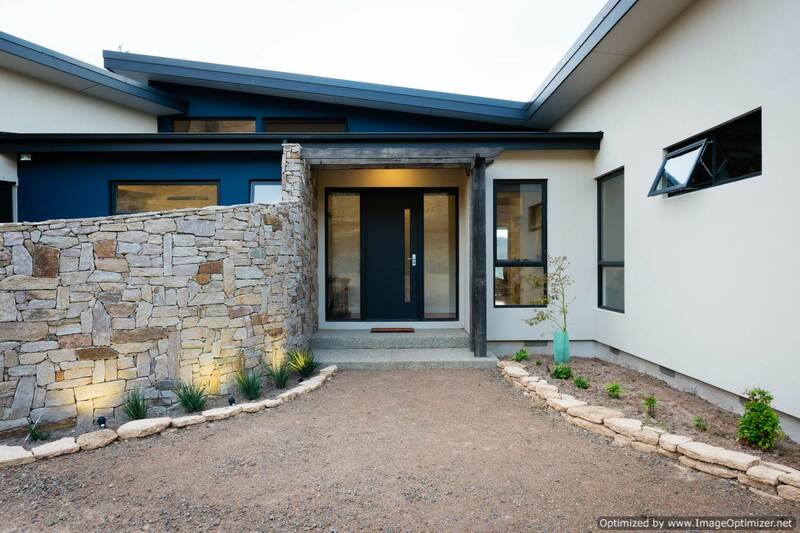 The home was constructed using a combination of rammed earth and masterwall cladding, and a natural rock entry wall. 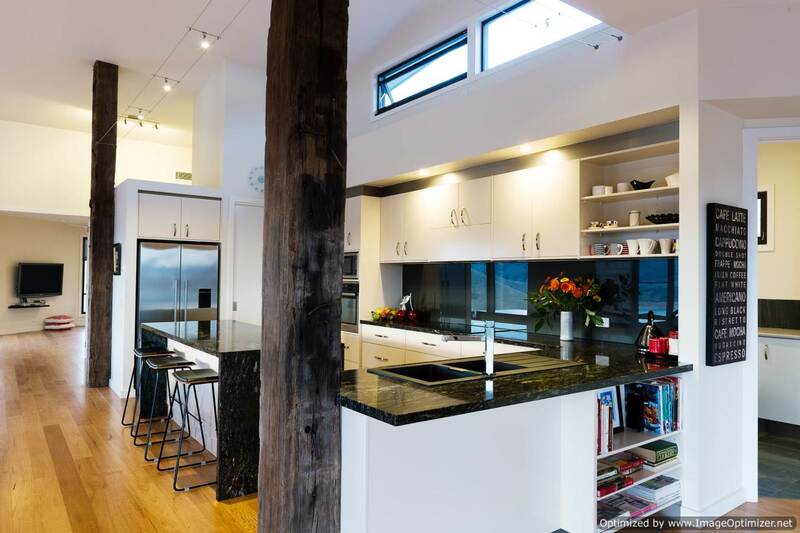 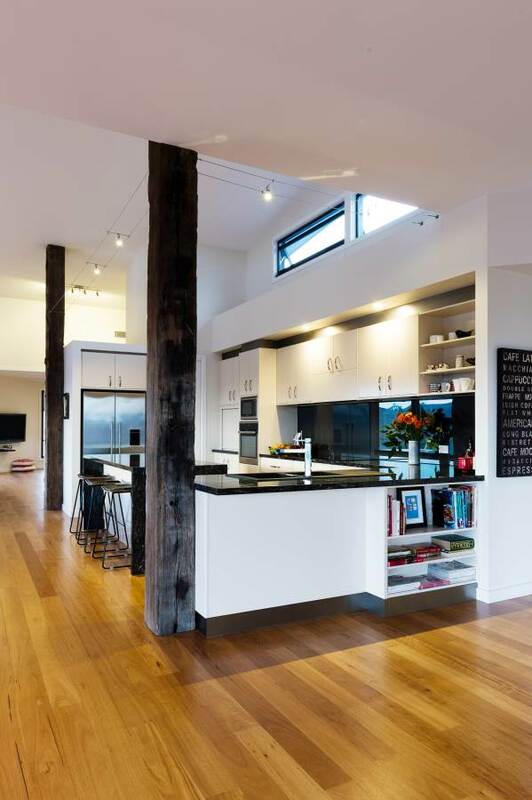 There are lots of high ceilings and open space inside, and some lovely details using rustic recycled beams and posts. 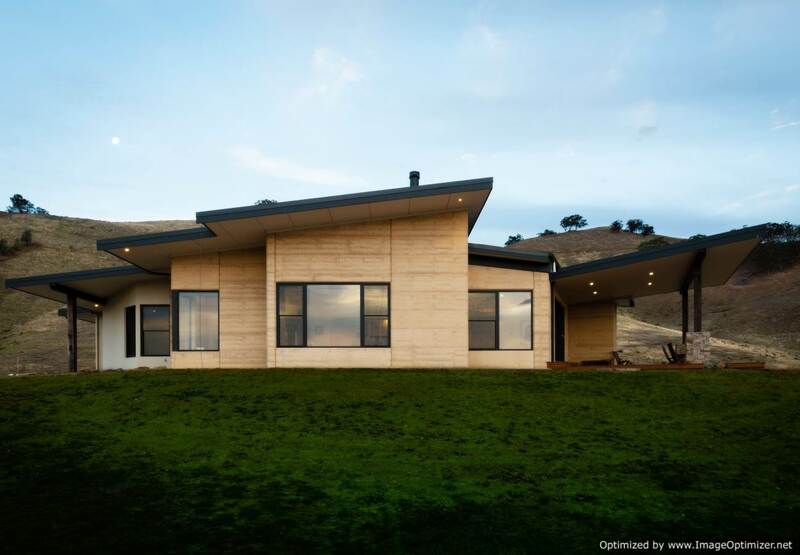 The building site itself is quite steep, and the natural pallate of the materials lends the house to nestle in to the hillside with minimal disruption to the ridgeline.